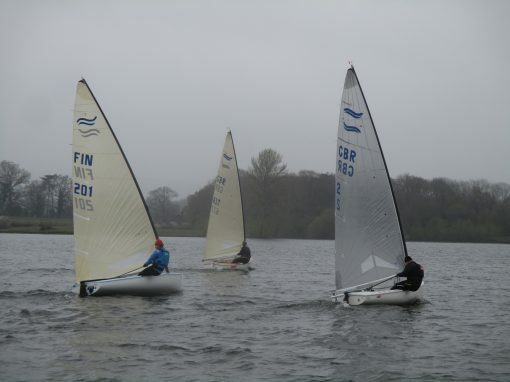 Solway YC Open; gales, frustration but some very windy sailing too! 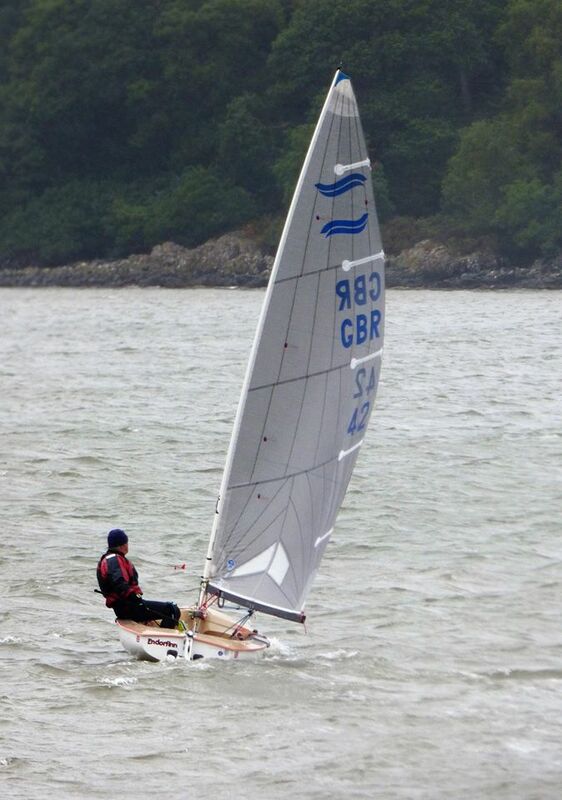 After the near perfect weather during The Solway Yacht Club’s Cadet Week, barely days ago, how things change. 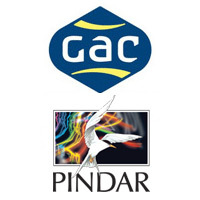 Low pressure systems, sweeping in from the Atlantic produced gale force winds and high seas, greatly restricting organised sailing and racing. 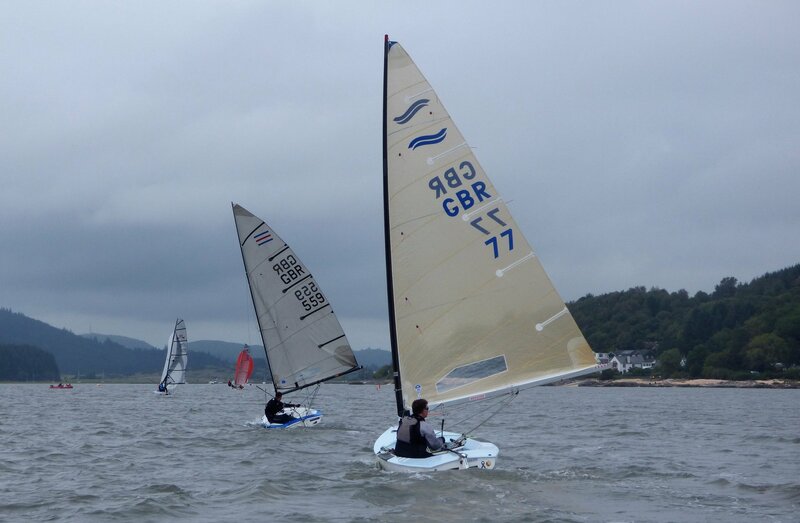 Nevertheless some 60 crews from around the UK arrived in Kippford on 28th July, including a fleet of the Olympic Finn class racing dinghies for a two-day open event. Day 1 and despite the strong winds and forecast of worse, several of the larger cruising yachts set off for racing out in the Solway. However most quickly realised conditions were deteriorating and returned but not before one got into difficulties and was swept onto the mud of the Merse. With flag N over flag A signalling all sailing abandoned for the day, back in the clubhouse the banter started about how the dinghy fleet had had to rescue the poor wretched ship-wrecked mariners! 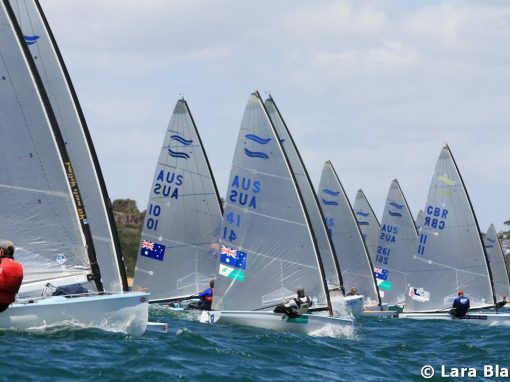 By Sunday the wind had moderated sufficiently to make racing possible and after a one-hour postponement, the Race Committee announced the start of racing. By now the wind had dropped considerably but a big blow was still forecast. 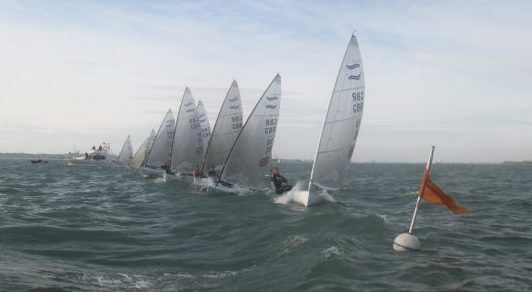 With more sheltered inshore courses set, the races started but the big winds soon returned, leaving most in survival sailing mode but nevertheless one race for each class was completed with the safety boats kept busy. Six Finns entered the first Scottish and Northern open in a number of years and they managed to get only one race, the win going to Fergus Allen from Loch Earn SC (who lives in Dubai!) and second to Richard Phillips from Christchurch a long way to come for one race, the last Finn to cross the line was Stewart Mitchell from Solway YC and Annandale SC after a swim at the gybe mark. A shame the wind did not co-operate but many of the Finn sailors enjoyed exploring the beautiful area of Kippford and surrounding area including a spectacular visit to the cliffs at Balcary point when the race was blown off on the Saturday. 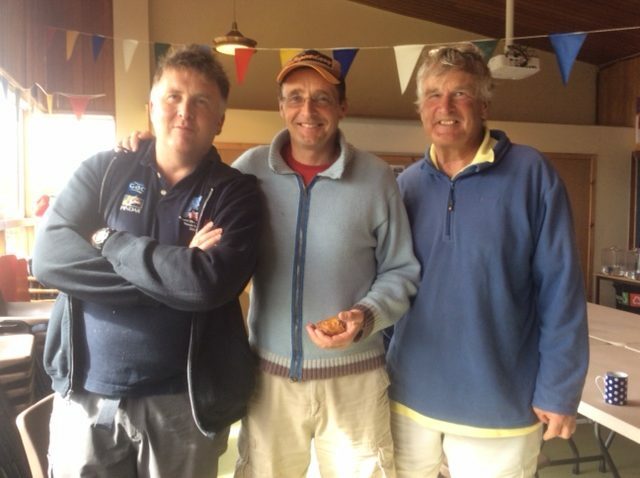 Two Finns stayed on for the rest of the week with Stewart Mitchell and Richard Phillips taking second and fourth in the Kippford week fast handicap class, and then First and Second in the RNLI regatta respectively. While things weren’t going too well on the water, the social side of Kippford Week was flourishing. The traditional first evening Commodore’s Reception was Mediterranean themed, unlike the weather, and was enjoyed by all. The next night saw the winning quiz team generously donate their prize money to the Kippford RNLI while Monday was a first, a “Gin Tasting” night run by David Jamieson of the Kippford Association. With tickets quickly selling out, David put on a tremendous evening, one longstanding member delightfully announcing at the end that never before had he had so much fun in the Clubhouse! The final day brought little improvement in the weather. More strong winds and heavy rain presented the Race Committee with still more problems. 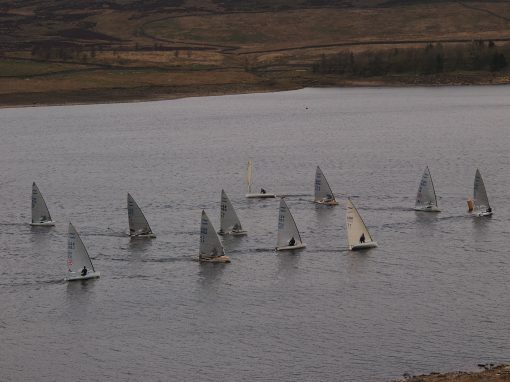 They quickly decided that the race for slow handicap class, predominantly sailed by the less experienced, was cancelled. 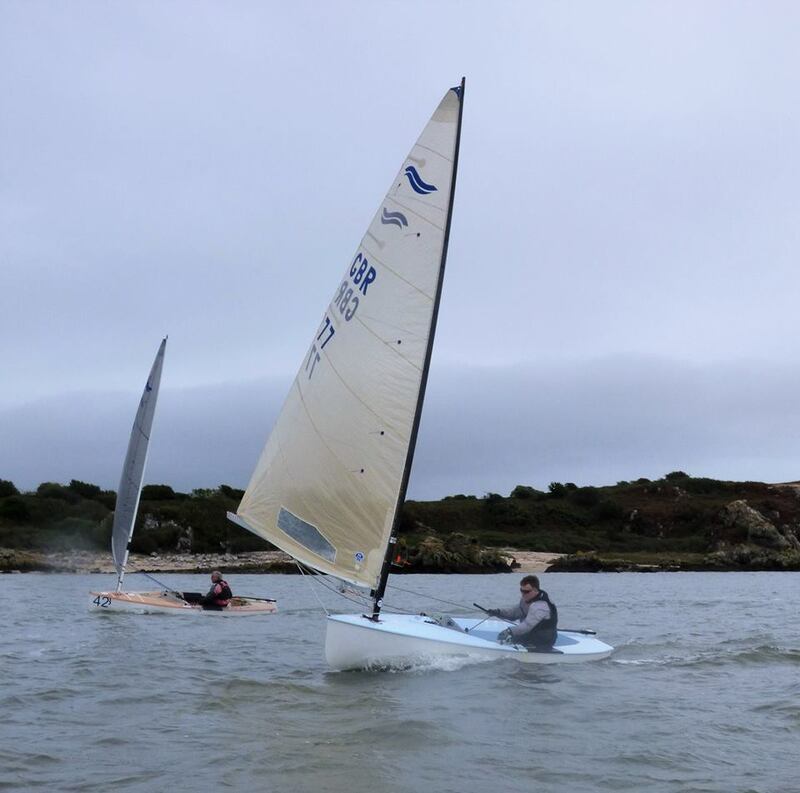 After yet another postponement, the other classes launched and got one tough race completed so over the five days of Kippford Week where two races were scheduled each day, a total of only four races could be sailed, and only three in the slow handicap class. 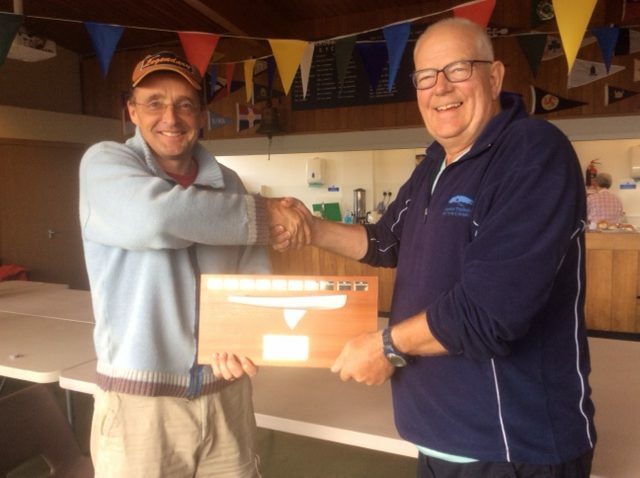 Usually the highlight of sailing in Kippford, 2018 will be remembered for some of the worst Kippford Week weather in years but at least enough racing had been completed for trophies to be awarded and a celebration of what was achieved.